India reported a total of 86,000 new HIV infections in 2015. However, on a positive side the number of cases registered has declined significantly from 2000, and later 2007. It has declined by 66 per cent from 2000 and 32 per cent from 2007. These figures have been confirmed by the latest round of HIV sentinel surveillance and estimations conducted by the National AIDS Control Organisation (NACO), released by the Union Health Ministry. The report further confirmed that 47 per cent of the 86,000 new HIV cases among adults are reported from Andhra Pradesh and Telangana, Bihar, Gujarat and Uttar Pradesh. Each state contributes 7,500 or more new infections in 2015. However, new infections among adults have declined by 50 percent or more in the State of Andhra Pradesh and Telangana, which are also a part of the highest percentage of group states reporting new HIV cases. More states including, Karnataka, Maharashtra, Manipur and Odisha have also registered a decline of 50 per cent or more during 2007-2015. Other states including, Bihar, Jharkhand, Kerala, Mizoram, Nagaland, Rajasthan and Uttarakhand are the states where annual new infections declined by 32-47 percent during the same period. On the other hand, Assam, Chandigarh, Chhattisgarh, Gujarat, Sikkim, Tripura and Uttar Pradesh, have witnessed an increase in HIV cases among adults during the same period. As reported by Express, West Bengal and Rajasthan registered more than 5,000 new HIV infections, but less than 7,500 new infections. Maharastra, Odisha and Tamil Nadu have new infections in the range of 3,000-4,000. Chhattisgarh, Delhi, Haryana, Jharkhand, Karnataka, Madhya Pradesh and Punjab have 1,000-2,400 new infections among adults and the rest of the States have less than 1,000 new adult HIV infections in 2015. The report further noted that since 2007, the number of AIDS-related deaths declined by 54 percent in 2015 with an estimated 67,600 people dying of AIDS-related causes nationally. The annual number of AIDS deaths has declined by 70-81 per cent during 2007-2015 in Karnataka, Maharashtra and Tamil Nadu. 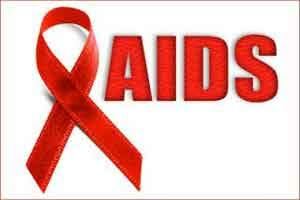 Annual AIDS related deaths declined by 60-70 percent from baseline values of 2007 in Andhra Pradesh and Telangana, Goa, Himachal Pradesh and Nagaland, while a decline of 40-47 percent was estimated in Chhattisgarh, Gujarat and Punjab.